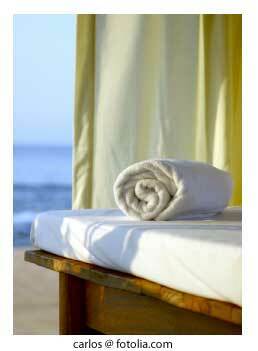 Caribbean Spa Vacations - Have a Massage on the Beach! What could be more relaxing and luxurious than a Caribbean spa vacation with a massage or yoga on the beach? Warm breezes, scented oil, soft music - total bliss! The Caribbean has a wide array of spas reflecting the diverse cultures of the region. Most Caribbean spas are resort spas, with luscious accommodations and plenty of activities. 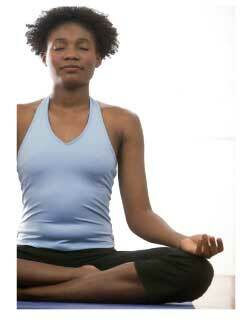 Yoga is offered at most, along with water sports, horseback riding, or any number of other fun and relaxing pursuits. Enjoy a hike through a rainforest or horseback riding on the beach while you're on vacation in the Caribbean, then head back to the spa for a relaxing massage or facial treatment. Visit the Caribbean for spiritual renewal as well as physical rejuvenation. A Caribbean spa offers many luxury spa vacations, all inclusive spa vacations, and the chance to truly relax and let go of your problems. And it's where Ponce de Leon came to find the fountain of youth - so what are you waiting for??!!?? (Mexico spa vacations can include the Caribbean or the Pacific, and have their own page). • Half Moon, A RockResort and Spa, Montego Bay - Taking its name from the crescent-shaped white sand beach, this luxury resort offers a holistic spa with treatment rooms right on that lovely beach! The spa offers a full menu of wellness, fitness, and massage treatments, as well as yoga. • Jackie's on the Reef, Negril - Jackie escaped the stress of city living by vacationing in Jamaica, and now operates a small, quiet inn on a beautiful reef. This charming retreat is unique - not part of a large chain of hotels - and offers yoga, mediation, and stress relief. There are spa treatments (many take place on the beach), snorkeling, and nature walks. Evenings include fireside talks and story telling. Rates include meals and yoga sessions. • Franklyn D Resort and Spa, Runaway Bay. - The Franklyn D Resort and Spa is an all-inclusive resort with two private swimming coves! The spa offers services such as reflexology and luxurious body wraps with indigenous Jamaican ingredients. Snorkeling, windsurfing, and other water sports are also available. • Copamarina Beach Resort, Guanica - Located on the quiet southern coast of Puerto Rico, far from busy San Juan, the Copamarina offers the finest in relaxation, dining, diving, sailing and eco-tourist wonders on a pristine Caribbean beach. The full-service Bioderm Spa specializes in healing massage and relaxing body treatments, including the After Sun Blending body treatment which soothes sunburned skin with a mixture of coconut milk, honey, and aloe. Reiki, yoga workshops, and meditation classes are also available. • Golden Door Spa at El Conquistador Resort, Fajardo - One of the exclusive Golden Door Spa properties, this resort and spa in Puerto Rico offers massage, body treatments (including a scrub using local coffee beans), and healthy cuisine. A well-equipped fitness center is available, along with yoga, a yoga/tai chi fusion, and a labyrinth for meditative walking. • Rio Mar Beach Resort and Spa, Rio Grande - Located on a beach along side a tropical forest, Rio Mar houses the Mandara Spa with treatments for men and women alike. Microdermabrasion, body wraps, massage and salon services are available at the spa. • Pura Vida Wellness Retreat and Spa, Alajuela - A yoga retreat and destination spa, this Costa Rica all inclusive resort less than an hour from San Jose offers accommodations ranging from "glamping"-style tents to luxury villas. Yoga sessions and eco-adventure tours are included in their 7-day program. Enjoy an all-inclusive vacation that includes the spa, yoga, meals, and other activities. • Tabacon Grand Spa Thermal Resort, La Fortuna de San Carlos - Nestled into a rainforest, The Grand Spa specializes in hydrotherapies and volcanic mud skin-care treatments. It also offers the only Temazcal therapy in Costa Rica, based upon ancient Mesoamerican steam bath rituals with chanting, aromatherapy, and meditation. The natural hot springs, brimming with minerals from deep inside the earth, are a rare and wonderful treat. There are 12 pools on the grounds, and outdoor treatment huts to complete the experience. • Zoetry Agua Punta Cana - Zoetry is a relatively new destination spa in the Caribbean. Zoetry Agua in Punta Cana has just 53 thatched-hut suites and is an all-inclusive spa. The full service spa offers saunas and hydrotherapy treatments along with body treatments derived from natural ingredients such as local fruits and flowers. This lovely resort uses local natural woods and stone in all of its buildings, blending naturally with its surroundings. In addition to a great beach and spa facilities, the resort has snorkeling and diving, windsurfing and fishing. Zoetry has locations in Riviera Maya and Los Cabos, Mexico as well as Punta Cana. • BodyHoliday at LeSport - This is a great place for a Caribbean spa vacation. This all inclusive spa in St. Lucia offers daily spa treatments in their base price, as well as meals and other activities. They provide an active beach holiday with a wide variety of spa treatments for unwinding after a day of horseback riding, scuba diving, or exploring the area. Or, if you prefer, you can lay back and just relax and enjoy a daily massage or facial. Treatments include seaweed wraps, Swedish massage, and hydrotherapy. • CuisinArt Resort and Spa - Yes, I know - you're thinking of kitchen appliances! But the Venus Spa at the CuisinArt Resort and Spa on Anguilla is surrounded by views of turquoise waters and lush gardens and offers customized facials, mineral baths, aromatherapy, and anti-aging treatments, as well as arctic and mineral rich thermal masks. Spa treatments, as well as the cuisine, feature ingredients grown on-site in organic gardens and the resort's hydroponic farm. The spa also featureshealthy cooking classes a fully equipped fitness center, yoga classes, water aerobics, and personal training for an active Caribbean spa vacation. • Cotton House - "Discreet" is the word here; located on the remote island of Mustique, St. Vincent, in the British West Indies, Cotton House offers accommodations that range from small, private cottages to a 2-bedroom residence (with its own butler!). Hotel rooms have individual plunge pools - you'll feel like you're in a world of your own! The relatively small spa specializes in body treatments, using local muds and seaweed for exfoliating treatments. Watersports, tennis, and horseback riding fill your days; spa cuisine is local Caribbean fare.